National Art Honor Society students at OHHS have elected to participate in The Memory Project as part of their community service again this year. Many of the students have previously participated in the project through the Drawing and Printmaking course, and NAHS previous years, and were impacted by it so much that they wanted to do it again on their own time! This year the NAHS students will be creating 12 portraits for children in Puerto Rico and Columbia. Puerto Rico has also faced many economic challenges over the past decades. Lack of adequate funding has forced many schools to close, and the percentage of elementary students who qualify for free and reduced lunch is around 90%. Those challenges were already present on the island before Hurricanes Irma and Maria unleashed total destruction in September 2017. The children in this project all live in a very poor shanty town. Over the past decades, many Colombians have fled to such shanty towns to escape the drug-related violence, murders, and kidnappings in their country's more rural areas. Systemic poverty in these shanty towns leads to many on-going social problems, especially for women and children. Fortunately, these children are being helped by an organization that provides them with healthy nutrition and early childhood education. 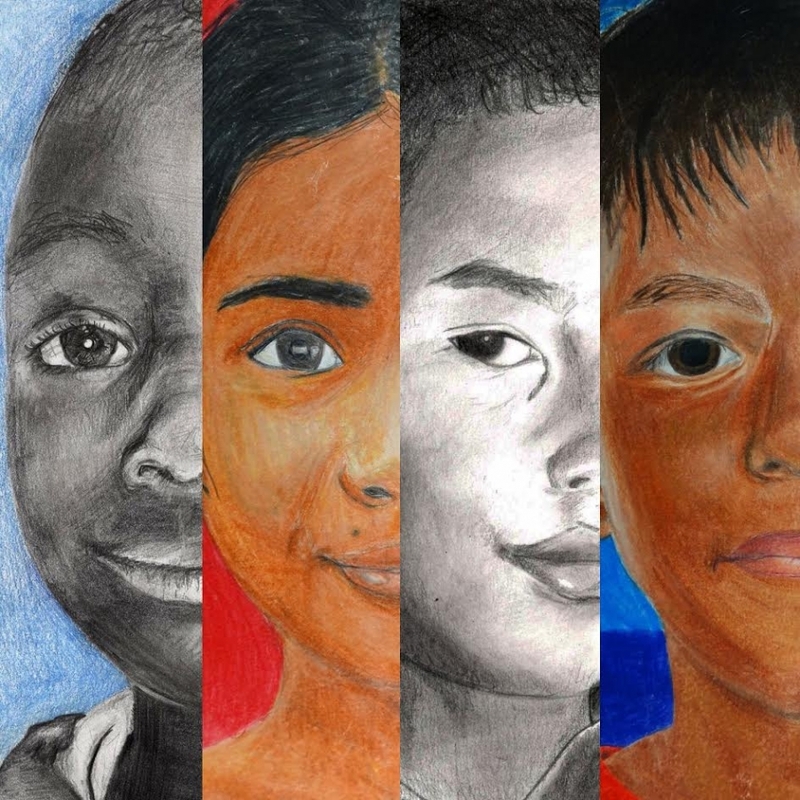 Over the past 3 years, Drawing and Printmaking and NAHS students have created over 140 portraits for children in Madagascar, Syria, and the Philippines.